/ Sony Announce the A7II With Built-In Stabilisation! I love new technology and only get excited with new gear when companies really raise the bar with features that are actually useable in the real world. Then Sony Announce the A7II and do that once again. Hot on the heels of their own A7s with incredible low light functionality, the new Sony A7II has "in house", 5-Axis stabilisation on it’s sensor! Using a 4.5-step* faster shutter speed! Amazing and the implications are widespread. Now wedding photographers will be able to capture amazing stills in very low light (at low ISO's). Furthermore, just about anyone now can take advantage of this technology. Imagine this camera on a drone with existing 3-Axis gimbal. The footage would be super still! Also, and with all due respect, there must be a lot of people out there with disabilities that could benefit. Things that cause shaking of the hands for example meaning they have all but given up on photography. Surely this will allow them to once again get out and start shooting? 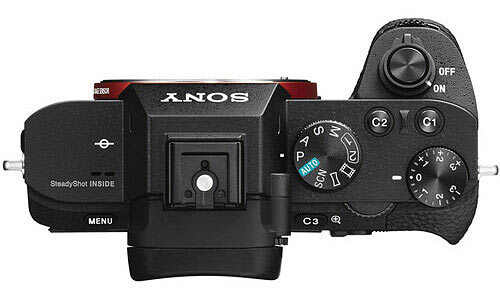 After all, the Sony will take (with an adapter) most third party lenses and the stabilisation works with all of them!